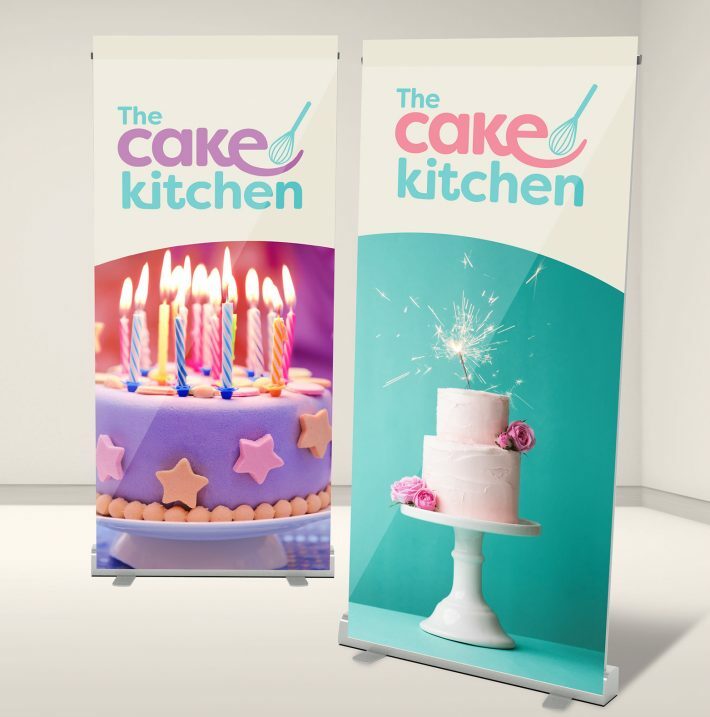 Building a brand for a cake decorating business was a brave step by our client, but one that has paid off, because they now stand out as experts in the world of cake decorating. The logo had to bring in the fact that The Cake Kitchen made the actual cakes as well as the decorating of them. The audiences varied from corporate to parents buying birthday cakes. 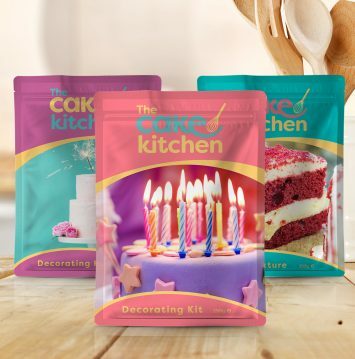 The idea for the logo was to emphasise the fact that the cakes were all handmade, an important selling point, and so the 'e' of cake became the mixing bowl for the whisk. The colour pallette was chosen to reflect the colours of the icing. Various colour options were supplied for use on different backgrounds. The overall feel is fun, creative, and bright, but serious enough for corporate orders.